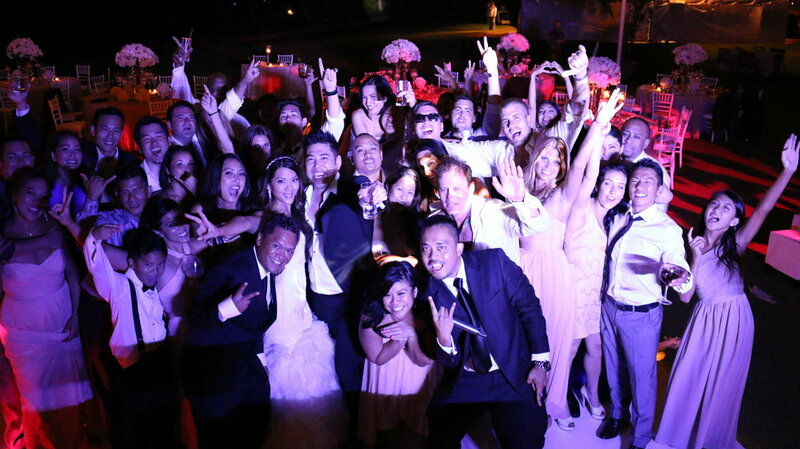 Next Level Entertainment is a DJ + Entertainment company in Maui, Hawaii. They specialize in engineering legendary events for extraordinary people. Joe, the founder of Next Level Entertainment, had been running Next Level Entertainment on nights and weekends, for almost twenty years. But experience Joe's team offers as a DJ, MC, and Entertainment company is unlike that of any other DJ company you've seen. They orchestrate the entire event, introduce games, build up meaningful moments, and really know how to pull of an event that will be talked about for years to come. But Joe often struggled to explain how he was different than those DJs who would come with a pre-set playlist, go through the motions, or play overused tactics like the Macarena. Together we took Next Level Entertainment through The Brand Plan to bring clarity to his offering and differentiator, bring focus to his marketing, and position the company as the premier choice for Hawaii based weddings and events. To begin, we started by looking at the markets that Next Level Entertainment was currently serving. It quickly became clear that while NLE was winning a domestic market, there was an opportunity to expand the business by beginning to target destination weddings, as well as local celebrations. Based on the market research we found, we were able to craft core messaging that spoke not only to local brides, but those couples who were hoping to make memories of a lifetime at their wedding. We gave specific and clear language to the ways that Next Level Events' key differentiators, and what they are known for. We also did a deep dive into Next Level Entertainment's brand values to gain a deep understanding of what drives the brand, and exactly how they are different than their competitors. We look through client reviews to better understand why client chose NLE, and the parts of the service that customers like best. From there we wrote several target customer profiles — focusing on both the domestic bride and those gate keepers who can help NLE branch into the domestic market. During The Brand Plan, it became evident that Next Level Entertainment was going to have to be able to compete not only on services, but on getting found on Google. With this in mind, we worked with Joe on our Website Ready Kit. We ran in depth SEO analysis on his site + competitors to see how he could strategically use his website and marketing strategy to get found online, and resonate with the target customers who found him. Once we had the SEO findings we worked together to re-tool the copy on his website to more accurately speak in line with his new brand strategy — calling out his experiential offerings and how he is different. You can see Next Level Entertainment's wedding site here. Working with Prim'd Marketing has been nothing but extraordinary. I've always had a hard time finding my voice and being clear on what my message would be to attract my ideal clients. By going through The Brand Plan process which included a discovery session interview, I was able to comfortably open up and share everything about who I am, my values and everything about my business. They listened, research my market and were able to take my business apart and then present an amazing Brand Plan that finally captured me, and laid out my new direction to truly take my company to the next level. I've also hired Prime'd Marketing for a complete SEO & copywriting overhaul to make sure our brand message is precise throughout. I can't thank Jenni, Sophia and their team enough for finally making me comfortable in taking my part time hobby into a full-time business. Next Level Entertainment got Prim'd! Next Level Entertainment is already seeing huge improvements. NLE currently ranks for 92 keywords, 10 of the most important are getting him on the front page in Google searches. More importantly, with the foundation of The Brand Plan and his sites fully optimized, Joe feels he is ready to leave his job to pursue running Next Level Entertainment full time. After twenty years of having NLE as his side hustle, he has the foundation he needs to take his career to the next level.